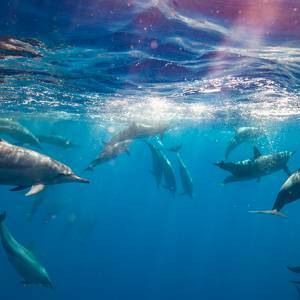 Few places in the world can offer the wide variety than the majestic waters off of the Kona coast. With over 100 diverse and secured day mooring sites to choose from your snorkel adventure may never end! 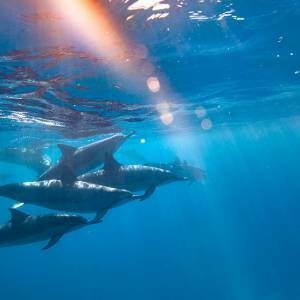 Encounters ARE possible with dolphins, manta rays, turtles, tropical reef fish, and sea coral. Enjoy total comfort and safety while taking in the splendid scenery above and below the water. 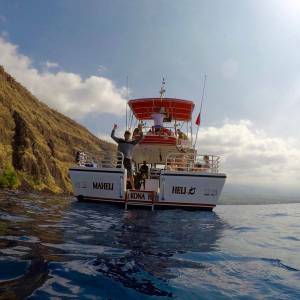 Manta Adventures offers you the best snorkel tours and ocean creature observations in Kona, with an experienced local crew. We hold many surprises in store for you! 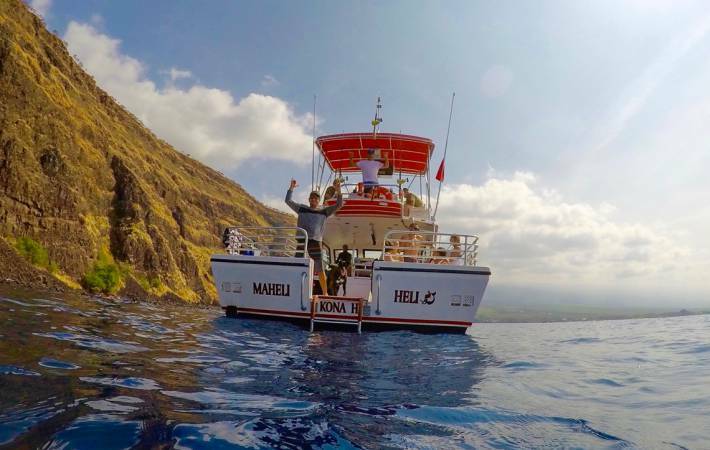 Enjoy our brand new boat the Maheli-Heli. 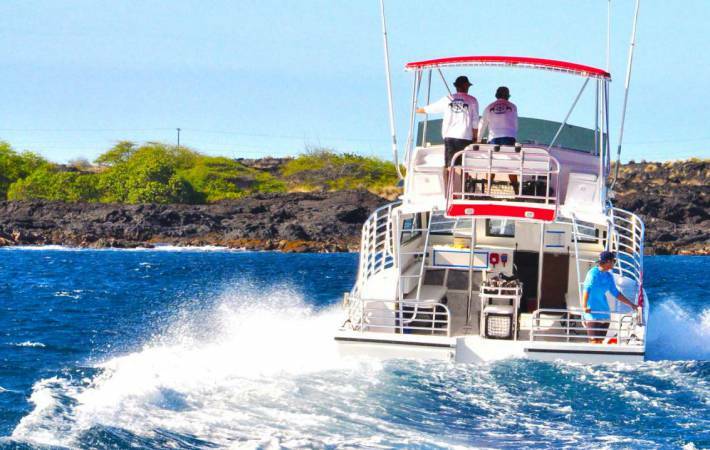 You will enjoy total comfort and safety while taking in the splendid scenery of the Big Island, the Pacific Ocean and the local Marine Life. Mahalo and Aloha for sure!! Snorkeling in Kona is great fun! Kona is unique because of the great visibility, warm waters and teeming reef. Visibility in the water can exceed 70 feet! Expect to find individually brightly colored reef fish in every shape, size and color. 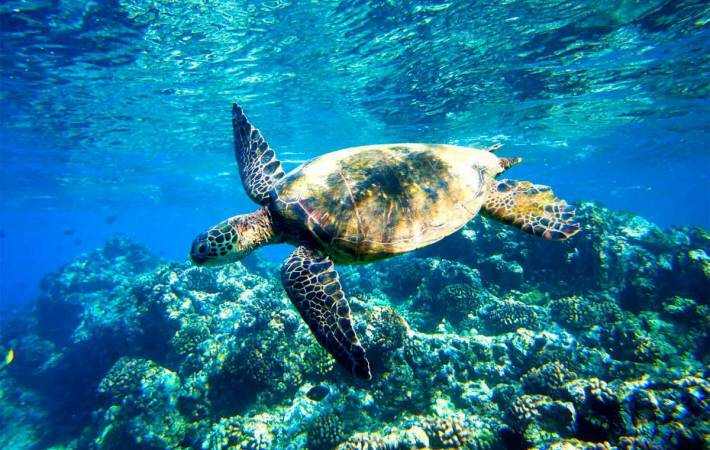 Several of our snorkeling locations offer good chance to find the beloved the Hawaiian green sea turtle swimming effortlessly. Kona Coast hard corals have facinating shapes, from dome like to finger corals. Snorkeling is a great way to appreciate the underwater environment. Snorkeling is a fun activity that can be enjoyed by anyone – kids, adults, those that swim, those that don’t. Learning to snorkel is easy! Our crew will help you get outfitted with snorkel, mask, and fins. Whether an experienced snorkeler or novice, you’ll be comfortably snorkeling in the water with Manta Adventures. Fresh Water Warm Shower Rinse! Gratuity is not included in the price of the tour but tips are greatly appreciated.